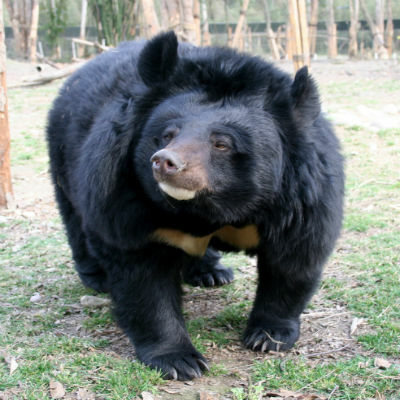 “It was very touching when Jill Robinson told me, many years ago, that one of the rescued moon bears at Animals Asia’s sanctuary in China was being named after me. I was really thrilled and, of course, it was wonderful when I saw her at the sanctuary. 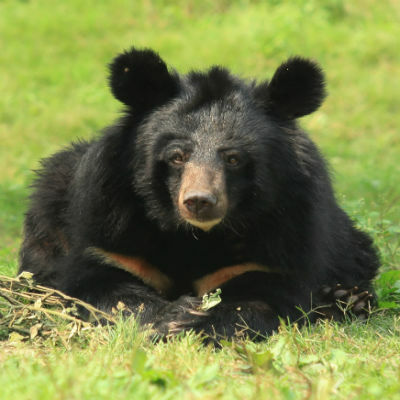 “From years in a fearful barred cage to 18 years of kindness, compassion and the company and friendship of other bears was, I am sure, leaving hell for heaven. “Ginny was a beautiful soul who enjoyed the complete adulation of too many boy bears to mention. “She was named after her beautiful namesake Virginia McKenna, our UK Patron, and my friend and mentor, who admired her when she visited us on site. “For this reason, I loved the familiarity of seeing our contented family member going about her business outside in House 2 and would often just stop and watch her as she shuffled happily around – her ever-greying muzzle signalling her twilight years, her stubborn and determined character confirming that she was still very much in charge.